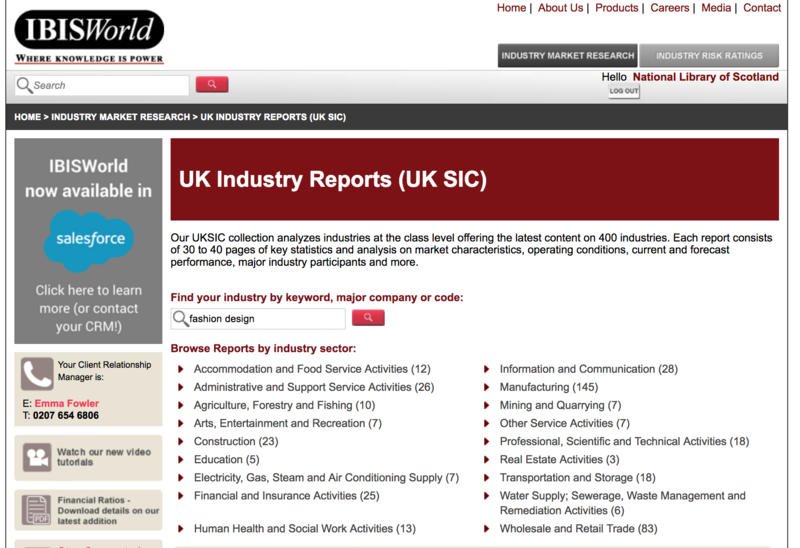 IBISWorld holds up to date UK Industry Market Research and Industry Risk Ratings. When searching for your new fashion venture I typed in ‘fashion design’ to the search box for Industry Market Research and received 35 results . A great tip if you don’t have the time or patience to be reading through a lot of information is to click on the iExpert button at the top of the page, which provides a risk summary report that details an overview and also the key statistics. For example, If you are starting your womenswear ecommerce business then you would want to be aware of the proportion of the market held by two of the main players in the UK: ASOS holds 11.1% and Boohoo holds 6.2%. It also offers information on major markets and major market segmentation, threats and opportunities and key statistic snapshots. One of my favourite features of IBISWorld is their Industry Jargon section, offering definitions of some of the terms you may not be familiar with yet. For example when conducting this search I learned that the industry term for retailers that operate online and have no physical establishments is ‘pure play’, something I wasn’t aware of despite doing a Fashion Business degree! Another aspect that I intend to utilise, particularly once my internship here at the NLS finishes is a wonderful section called ‘Call Preparation Questions’. It essentially offers potential questions that you may get asked in an interview and- this is the best bit- bullet points how you should answer them. I would recommend this section to graduates who perhaps feel daunted by the prospect of industry related questions, or to anyone in need of some interview prep. Fame. Financial Analysis Made Easy. An integral part of launching a successful business is knowing your competitors and Fame does exactly what it’s name suggests. It lists the financial details of millions of the largest UK and Irish companies. There is a vest amount of detailed information when you search in the ‘companies’ tab and you can find out almost everything you could want to know about your competitors or the new brand you will be collaborating with. I searched fashion design within the ‘industry’ tab and got 224 results . You can also search in News for anything related to fashion design. Another great tip I would give is to utilise the information found on Fame to help you when trying to secure your dream job. When writing your cover letter to become the next Account Manager at Stella McCartney why not use the statistic that you saw their profit was 43.5% last year and then explain how you would go about improving it. It is important to note, however, that it is only registered companies and not inclusive of sole traders. This resource does come with a warning though, as it is so easy to fall down a rabbit hole starting out on ‘fashion design’ only to look up an hour later having ended up on a ‘Love Island Makeovers’ article. To avoid this I would recommend the use of inverted commas around your search phrase e.g “Fashion Design”. Orbis is another great database of millions of companies worldwide including unincorporated companies worldwide. It feels similar to fame but on a global scale. Mint Global is, again, a great source of getting more information on your competitors including company records with five years of financial accounts. Mintel provides news, trends, consumer research, sales data, market information and, perhaps just to me, is the most fun of all the business eResources. You can stay in the loop with relevant changes as Mintel boasts 1345 reports published this year and 205,000 marketing pieces added this month alone. Very easy to navigate and fun to read, Mintel is definitely the most user friendly of the eReources offering up interesting and anecdotal snippets of news and statistics. I searched ‘fashion design’ in Mintel Academic and it gave me 685 reports, 110 insights, 11 trends and 9 news. I could then further refine my search by content, sector, demographic, country or date. I chose to sort by date and read a May 2018 UK Womenswear report titled “Attitudes towards shopping for clothes”. 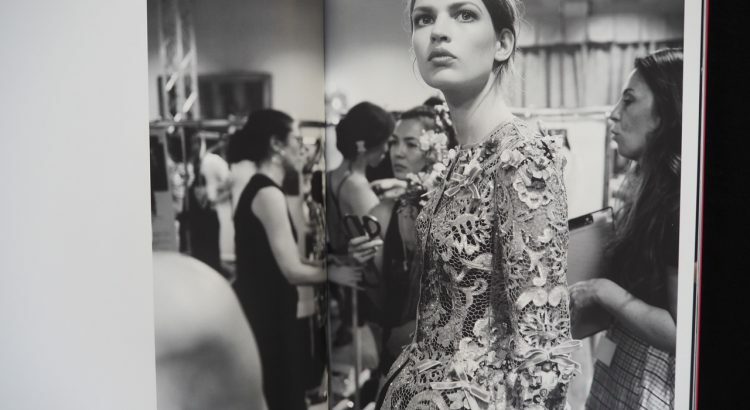 The report articulated an increased demand for timeless and quality fashion, with almost 7/10 female shoppers agreeing that buying timeless fashion saves money in the long run. Moreover, at the latest London Fashion Week in February 2018 several designers chose to show seasonless collections and notably JW Anderson combined both men and women on his trans-seasonal runway show. Thanks to the NLS’s new subscription to Mintel Trends this is an easy way to keep your finger firmly on the fashion pulse. 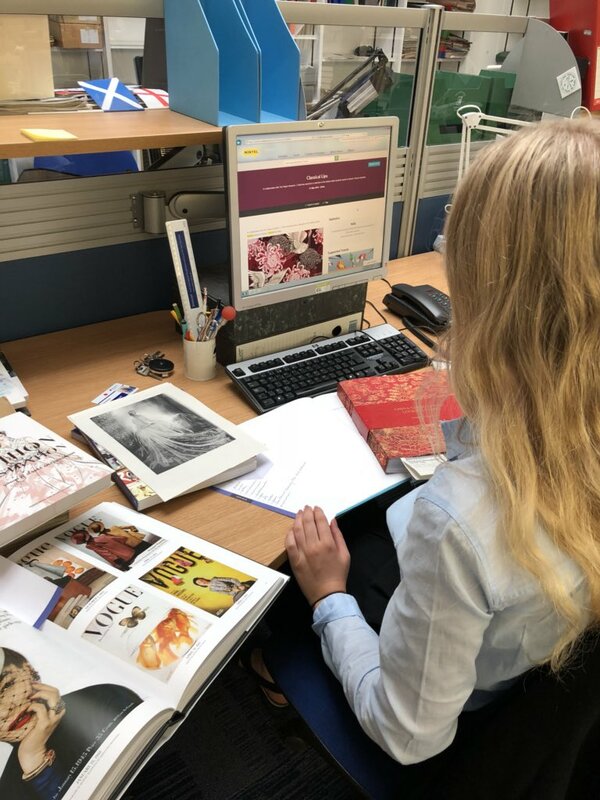 A few other favourites I picked up that were posted this month (July) on the Mintel Trends database were M&S’s new modesty range being launched in Malaysia and Asos’ banning of any products that use silk, cashmere, mohair and feathers in a stand against animal cruelty. 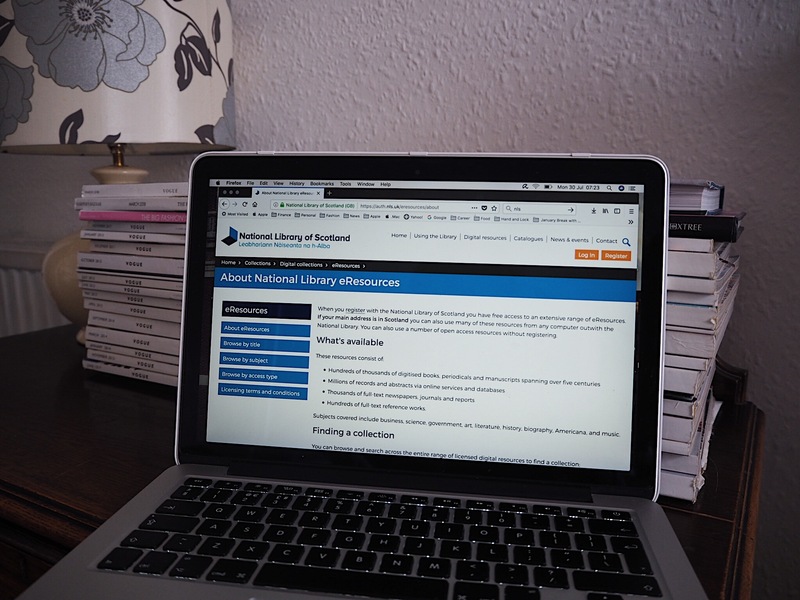 Whilst this post is centred around the eResources it is critical to note the amazing range of published business material including books, ebooks, journals, and reports that you can also access onsite at the National Library on George IV Bridge. Also a big thank you to Elaine Simpson, Business and Enterprise Partner, for teaching me everything I now know about the business and enterprise resources!